In a recent post titled “Putting IDX out to pasture,” Joel Burslem of 1000watt suggests that the commoditization of IDX, along with real estate consumers’ shift to mobile, has made property search websites obsolete for agents and brokers. I couldn’t disagree more. The commoditization of IDX is the best thing to happen to the real estate community in years, and it’s going to spark a revolution in online marketing for agents and brokers. Before I challenge Burslem’s comments about IDX, I want to address his suggestion that “the Web is being left behind” in favor of mobile apps. While it’s true that consumers spend more time on apps than mobile browsers, he overstates the impact this trend has on real estate. After all, most of the time consumers spend in apps is dedicated to things like gaming (32 percent), social media and messaging (28 percent), and entertainment (8 percent) — none of which are relevant to real estate. More important, however, the technological distinction between apps and the mobile Web is disappearing. Apps started as a solution to a problem. Early mobile devices, browsers and networks simply couldn’t handle the Web particularly well. Mobile apps closed the gap, providing a simpler, cleaner and faster user experience. Of course, there were drawbacks: Apps were far more difficult to build and siloed data away from the rest of the Web. But that’s all changing. Better mobile technology has given rise to mobile websites that are just as beautiful, responsive and streamlined as most mobile apps (not to mention cheaper and easier to build). Furthermore, thanks to HTML5 and deeplinking, mobile websites will soon be able to tap into all the same smartphone features as apps. If any of this sounds familiar, that’s because it’s all happened before. A decade ago, nearly all desktop software was native, from your calculator to your word processor. Today, Web applications dominate the landscape; even operating systems are moving online via devices like Google’s Chromebook. The result is an ecosystem of highly open, flexible and interconnected applications that are easy to update and accessible anywhere. Instead of looking to the future, however, Burslem advises that agents and brokers cling to mobile apps from Zillow, Trulia and Redfin. But these companies make the same promises as Facebook and other social platforms before them: To real estate professionals, it’s all borrowed (advertising) land. Agents need to own their success online, not rent it. To do that, they’ll need mobile technology that’s widely available, affordable and easy to build. In short, they’ll need commoditization — and IDX provides a model for how that can happen. In the post, IDX is equated to MLS property search websites. But the definition of IDX is much broader than that. 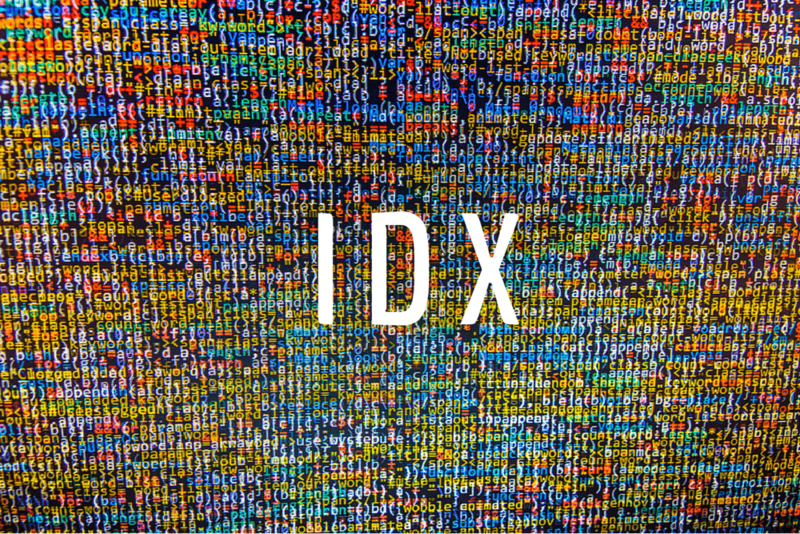 IDX is a standard for sharing listing data. It’s the way listings are continuously retrieved and updated from an MLS and then displayed on an external website or application. IDX isn’t just about MLS search sites. It’s about our right as an industry to share listing information with each other, and under the control of agent and brokers. Burslem is right about one thing, however: IDX is increasingly a commodity. It’s cheap, it’s everywhere and it eventually will become ubiquitous. HTTP: Hypertext transfer protocol is the standard computers use to share information. It’s the backbone of the Web. HTML: Hypertext markup language is the standard browsers use to render Web pages. Even with dozens of new programming languages, it remains the building block of all websites. WordPress: The open-source software that made publishing on the Web free and easy. More than 20 percent of the Web is powered by WordPress (which is itself built on both HTTP and HTML — further proof that commoditization is the foundation progress stands on). Each of these Web commodities has revolutionized how we build things on the Web. Even though the Partners Trust brand has hundreds of listings, the hyper-local Partners Trust site referenced in the article has seven. Burslem suggests that instead of building IDX search sites, real estate professionals should invest in highly targeted microsites, offering Partners Trust’s website as an example. However, let’s make something clear: Partners Trust is an IDX site. It may only have seven listings, but it’s still built on the premise of IDX. As for his point that we need more highly focused, consumer-relevant websites, rather than generic “search the whole MLS” sites: We agree. And we believe this innovation is just the tip of the iceberg. Finally, Burslem’s post suggests that the best alternative to so-called “worthless” IDX websites is to cling to portals like Zillow. He says agents and brokers should “negotiate hard on price and terms” and “work with the portals to make sure [they] stay in front of their consumer eyeballs.” But let’s be honest here: there’s no such thing as working with Zillow, or anyone for that matter, when you have no alternatives. If he has his way, it is agents and brokers who will be commoditized as they conform to fit the few places that have the technology and the means to engage consumers online. We need to make a decision as an industry. As technology becomes ubiquitous, will software become a commodity that empowers agents and brokers to create their own unique brand value for consumers? Or will real estate professionals become digital serfs, thanking the portals for the privilege of participating in a system that takes advantage of them wholesale? History has shown that as tools and services become standardized and prices fall, we get platforms that create a diversity of choice, spreading like wildfire and empowering people to build amazing things. HTTP, HTML, WordPress and countless others are all powerful, commoditized, free and open standards on which the Web is based. IDX is next in line, and it will lead real estate professionals to an online revolution. Matthew Barba is the co-founder and CEO of Placester.